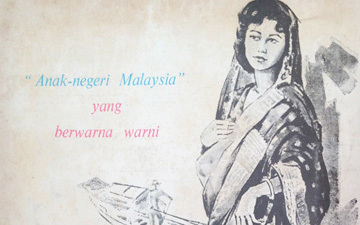 As far back as 1950 there was a group of friends interested in pantun and old time Malay music. They used to gather around one of the founders of the Club, one Madam Yew Beng Huat. Then it was suggested that a party be formed to go round the town during Chap Goh Meh. The response was good. There was enough money subscribed to pay for the bus, lighting, decoration, etc. Those who could sing went into practice. 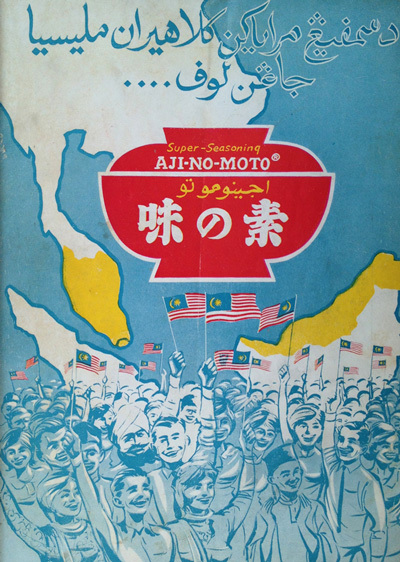 The day came and without a hitch the party succeeded in their efforts to revive old time Malay music and pantun. This was the first occasion the Dondang Sayang Club went round the town on three successive nights. The next year the same celebration was repeated with success. This went on for the next four years. 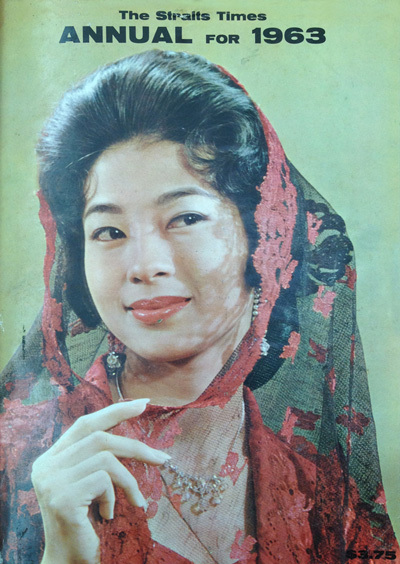 In June 1954. the Dondang Sayang Club was formed, first at No. 31, Krian Road, the residence of Madam Yew Beng Huat and subsequently the Club was moved to No. 217, Hutton Lane. 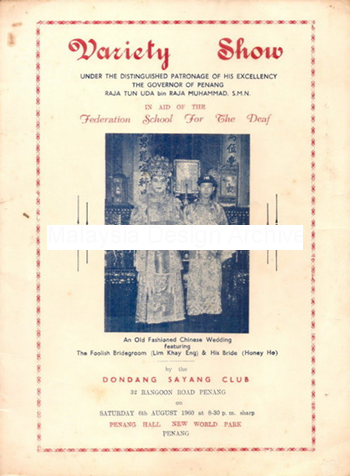 The Official Opening was on 15th June, 1954 followed by a dinner and ronggeng given by the President, the late Mr. Teoh San Choon. Besided the annual Chap Goh Meh celebration, the Club was able to give a charity show in aid of the Poppy Day Fund. This effort collected over two thousand dollars. The next year, Madam Lim Swee Bee was elected President and re-elected year after year, until today she is still the ever popular figure of the Club. 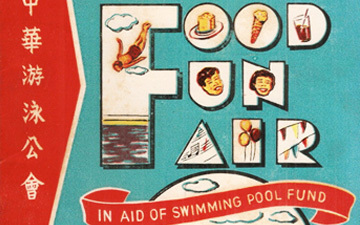 The Club has raised funds for the U.M.N.O., Federation School for the Deaf and we trust that the public will response to the efforts put up by the Club.